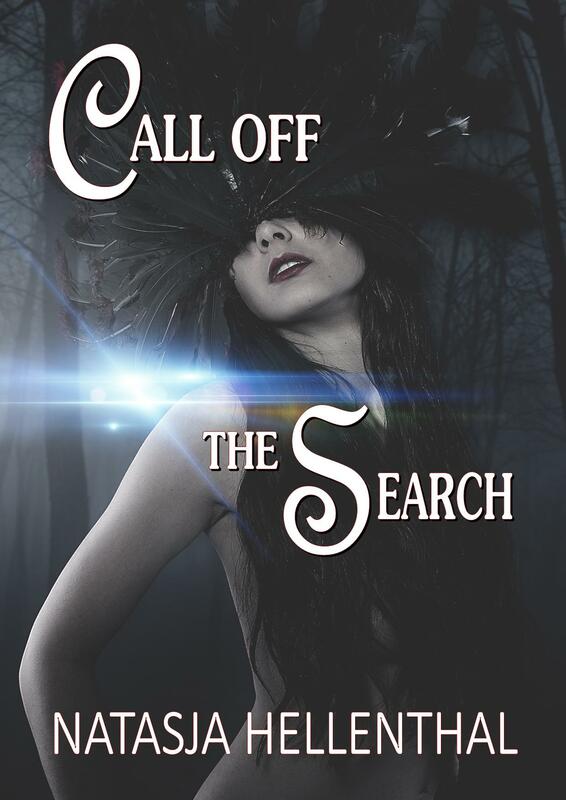 New Cover for Call Off The Search! I’ve been thinking to change the cover for ages now as it just wasn’t generating enough sales and I didn’t really like it. It was too dark, too depressing. So, I came across this picture which I bought from Shutterstock. It’s perfect as it portrays Sula, the main character much better. The feathers for her mind merging/flying abilities. The quantity of them; members of her race, vanishing like feathers on the wind. Her bronze skin, her green eyes, but also her sensuality. tThe fact that she looks in the camera with a defiant look, makes her appear stronger which she is, but her mouth depicts vulnerability as well. What if you’re the last of your kind? What if you’re so different you had to hide? Hide from people responsible for the annihilation of your kind? Would you be safe, ever? Could you forgive? For Sula it’s not so easy. 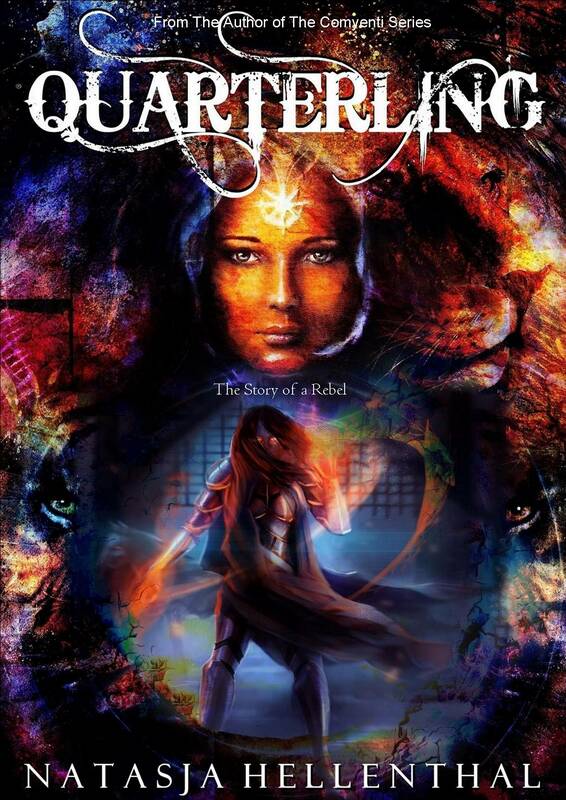 She possesses superpowers of which humans can only dream, but she has one fatal weakness–one which let to the downfall of her people–the comyentis. Jealous of their ability to merge their minds with animals to instill their abilities, people sought her kind out and destroyed them. After living a life in hiding, years searching for others of her kind, Sula faces a difficult choice. With not just her own life but her whole species’ held precariously within her hands, she feels the weight of her responsibility. Will she be able to overcome her aversion to humans to save her species from total annihilation? And what else is in store for her? ‘Call Off The Search’, Book One in the supernatural fantasy Comyenti Series, follows Sula as she fights for her new family, her female lover, her hopes, her freedom and the very existence of her species. 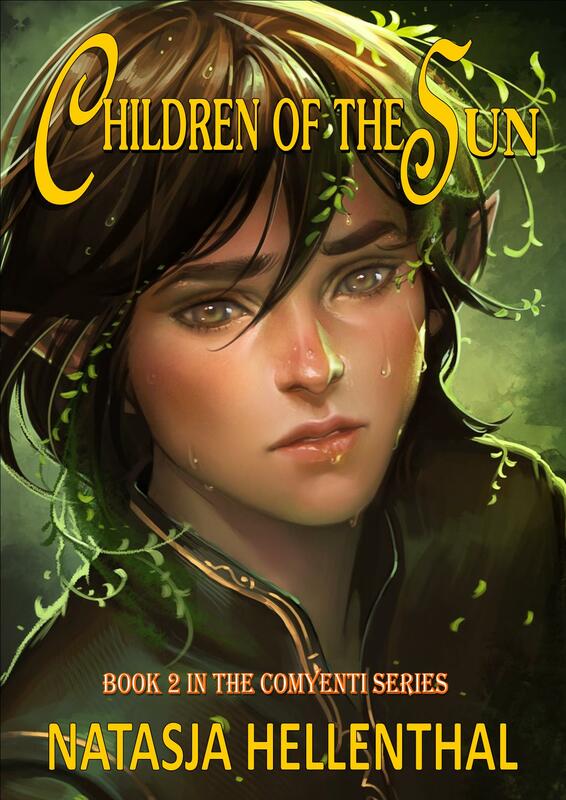 The dramatic sequel, ‘Children of The Sun’ is also available on e-book and in paperback. 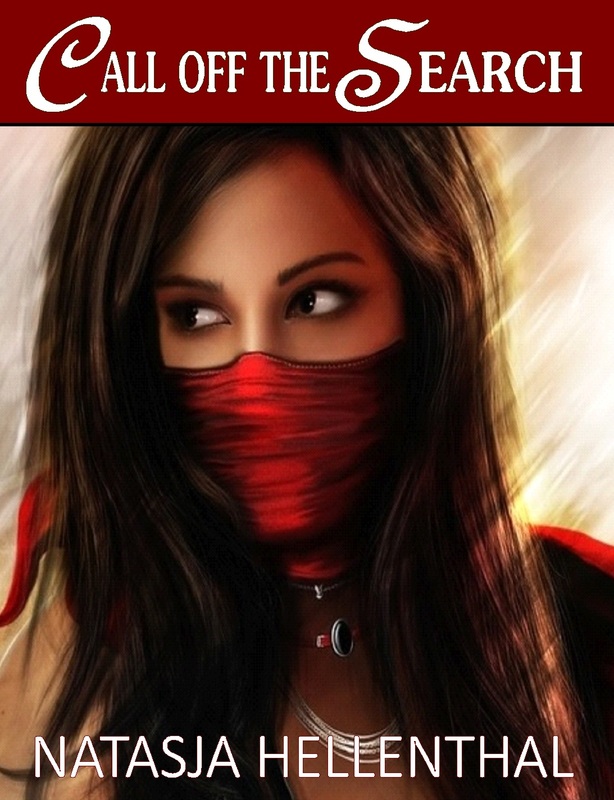 #1 in lgbt fantasy TOP RATED February-May 2015. I have a confession to make: this is something I don’t normally do; talk to my characters. Usually it’s the other way round; they tell their story to me and I listen, and at best write it down. I don’t make myself known to them, but rather lurk in the back ground. I am an observer. Therefore this is very new to me, but exciting all the same. I feel it is a privilege to be able to finally ‘meet’ Sula Comyenti, the main character from my ‘Comyenti Series’. She first appeared in ‘Call Off The Search’ and again in the sequel ‘Children Of The Sun’. Both full novels are available in e-book and paperback. This is my interview with her. I’m slightly nervous as Sula comes closer. I haven’t seen her in a while so I’m thrilled. We agreed to meet in a clearing in the woods near her house, just outside of Rosinhill. It is a sunny afternoon and the low rays shine through the spruce and pine trees down onto Sula’s face. Her dark long hair shines and appears more honey coloured brown at one side and black on the other. Her cheekbones are high and feminine, her skin is bronze and flawless as ever, but her almond shaped eyes are the most intriguing thing about her; they are a vivid green, like that of new leaves, but when I look again they are darker; jade. Is she reading me? We greet and sit down on a fallen tree. She appears strong and charismatic and I understand why both Felix and Feline fell for her. After the initial stage of awkwardness we begin to feel more comfortable and I ask her if she is ready for my questions. She smiles lightly and nods. How do you feel about your mother, now that you’re an adult? My mother, rest her soul, I still miss her dearly. She did what she had to do for the continuance of our species and later she had my best interest at heart, I know that, but at the same time it hasn’t been easy to accept that I had to do the same thing; especially when I thought time was running out. Had I known, I perhaps would have waited. She knew so little about our kind, our physics; only from what she was taught as a child before the killings. So you’re saying you regret meeting Felix and having Fay? No, not at all. I regret acting so soon whilst, in hindsight, I could have waited. I didn’t think straight when I met Felix, all I could think of, after saving his village, was him and how special he was. He wasn’t like any human I’d ever met. The promise I had made to my mother came to my mind and a decision was easily made. Felix knew of course, I had no secrets, but he didn’t object. In fact I believe he even suggested it, not with so many words but still. What would have happened do you think if you hadn’t met Felix? If I hadn’t crashed into him that day you mean, ha ha? No seriously, I would have done the same thing with someone else. That was the promise I was nearly forty after all. I might not have stayed though. Now I know of course that comyenti women are fertile until they are seventy, so yes I think I would have rather waited. But then again it’s no use speculating. What’s done is done and I’m happy with how things have turned out. But do you have any other regrets? Do you regret staying with him? That’s too vague. Can you explain? I’m a half-breed and I still don’t really know much about my species. What I’m sometimes feeling; that need for freedom and solitude: is it me or is it the comyenti in me? Feline understood, but Felix is not ready to find out about her and my feelings for her. I will tell him one day, but not now. Alright. How do you feel about Shazar? He could have told you more since he is a full comyenti? Don’t get me started on him. He has his own hidden agenda. I’m sure he is a nice person underneath, but he lets his personal feelings and his task of ‘saving our species’ cloud his judgements. Even though I can read his mind, literally, I still don’t trust him completely. He is definitely blocking things from me, but it’s not comyenti things as he told me everything I needed to know. I’m not entirely sure what it is he’s hiding, but I will find out somehow. That something will happen to my children. Especially since we suffered those attacks from the mysterious shapeshifting ypaka I don’t know if we’re safe here. All we can do is prepare our children to be more powerful and train them. What everyone else wants; a peaceful simple life whereby we can all live in harmony and safety. Perpetual happiness. Like I mentioned before; I very much need my freedom and solitude, and sometimes I struggle with the right balance between being happy by myself and being there for everyone else and at the same time keeping them safe. I can’t wait for my children to grow up and leave the house, ha ha! No, I love them dearly and we are very close, but sometimes it gets too much and I need space. They accept the way I am and that is the best thing I could ask from them. I try to give them all the tools they need for life but somehow I fear it might not be enough. The ypaka and even Shazar might prevent our happiness, our safety. Oh, another personal question. Ahem, well, I think with Felix I was quite taken from the moment I saw that single strand of blonde hair of his underneath his dark hood fluttering in the wind. It was quite a poetic moment. And when I met his eyes…and when he started talking… Er, so yes I suppose it was love at first sight, although I tried to deny it of course at first and was a bit harsh on him. How do you decide whether you can trust someone? Is it from experience? Can you tell from first impressions? Is it more intuition? Do you test the person somehow? Or are you just generally disposed to trust or not to trust? Before I met Felix, who is human of course, I generally distrusted every human. I had every right to as they almost exterminated my entire species. But it was an instilled distrust. Whether it was in my genes or if my mother is to blame I don’t know, but over time I learned to see not all people have bad intentions. That mistrust has kept me safe for years. My intuition is quite spot on, but if I’m not sure about someone, I will read their minds, not always literally their thoughts, as that’s beyond my limits with humans I haven’t merged with, but their intentions. They are easy to read for me. Body language is very important but also the images they send out, like any other animal does. When I’m in a Mindmode it depends on what animal skills I have borrowed. If it’s just me; half-comyenti, half-human, I would say my sixth sense takes over. My vision and hearing are superb, but looking is not the same thing as seeing and listening is not the same thing as hearing. I don’t give up easily. I try to get to the bottom of things to find out the truth, and try to set things right if I can. I feel too much. All those triggers sometimes cause an overload on my senses and the world around me starts to spin. I am powerless in situations like that. It is the curse of the comyenti and we still haven’t found a way to beat it. What’s the worst thing you’ve ever done? And why? I lied to Felix. It is not in my nature and it feels really wrong. If you could change into any animal, which would it be? Why would I with my abilities? However, if I could literally change shape I would like to know what if feels like to have wings, so perhaps an albatross or goose. When we say our goodbyes I can’t help but feel sorry for her somehow. I don’t know why. She is such a strong woman, but also vulnerable and sensitive. Only I know what will happen next, but I can’t tell her that. She knows it and doesn’t ask. I’m more than an observer of course. I can influence everything, for I’m the author after all; the author of her story; of both her and her family and of her kind. I am their judge and executioner. But even I don’t know the details yet. I first have to sit down and open my mind to it. But I save that for another time. Book 3 in the series, ‘Controller of The Senses’ is expected later in 2015, so stay tuned. 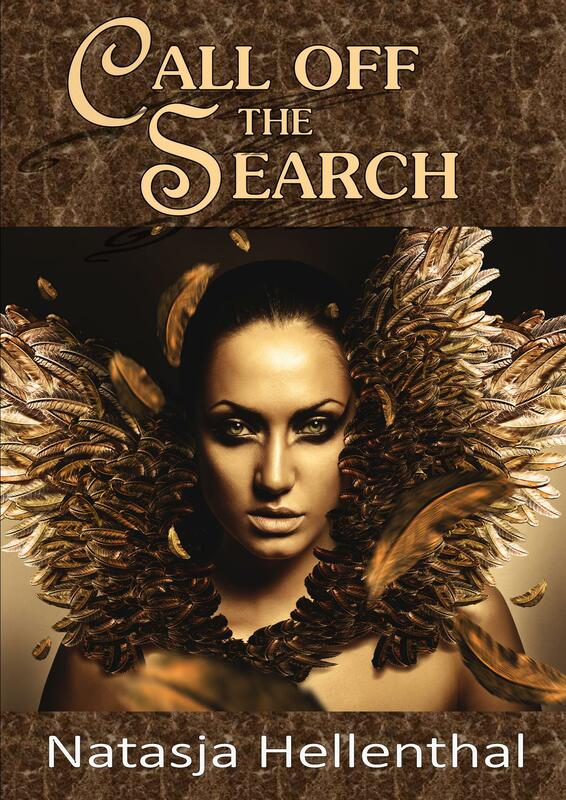 The e-book of ‘Call Off The Search’ (book 1) is currently free until the 20th of February. 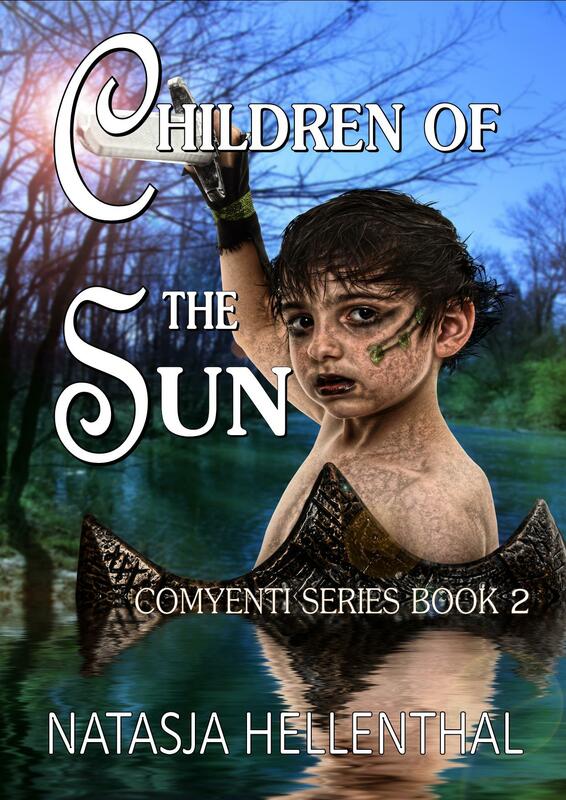 Keep reading in Book 2, ‘Children Of The Sun’, or get ‘The Comyenti Book Bundle Volume 1&2’ for an easy reading experience.